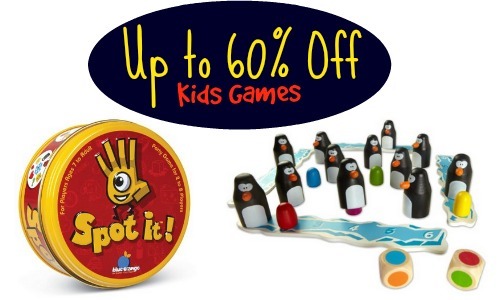 Today only, you can get select kids games for up to 60% off on Amazon. These could make great Christmas gifts and can even still arrive by Christmas with standard or Amazon Prime shipping. I personally recommend Spot It!. It’s a fun and easy game for the kids to pick-up on. Shipping is free when you order $35 or more however, the free standard shipping is not guaranteed to arrive by Christmas. You can also get free shipping with your Amazon Prime account and it will arrive by Christmas. Prices on Amazon may change at any time.